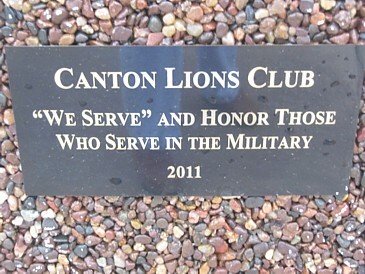 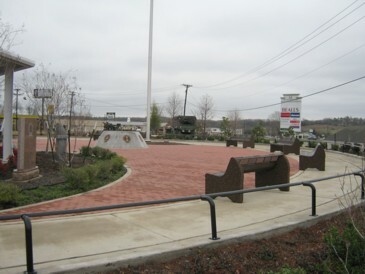 The Van Zandt County Veterans Memorial Museum and Visitors Center is located directly behind the Memorial Plaza at 1200 S. Trade Days Blvd (Hwy 19), Suite 600, near the intersection of Hwy 19 and 243 in Canton, Texas. 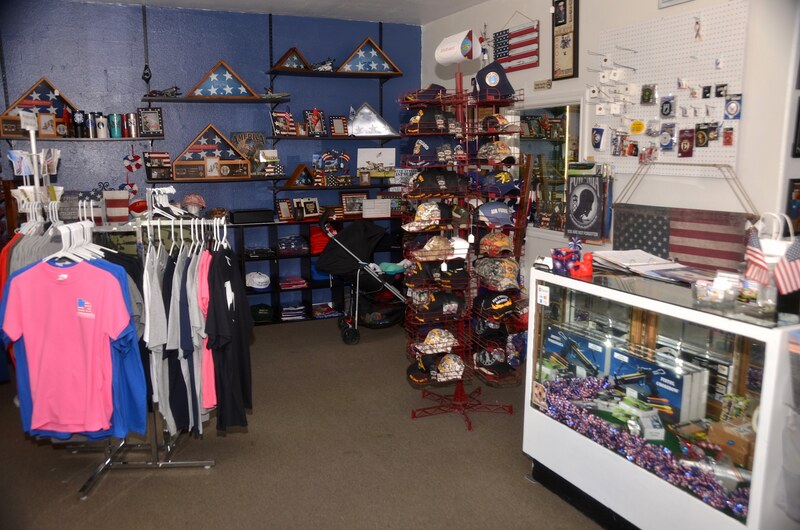 Operating hours are Monday through Saturday, 10 AM to 4 PM. 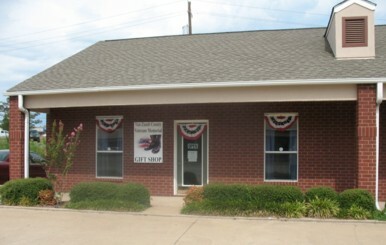 Telephone (903)567-0657. 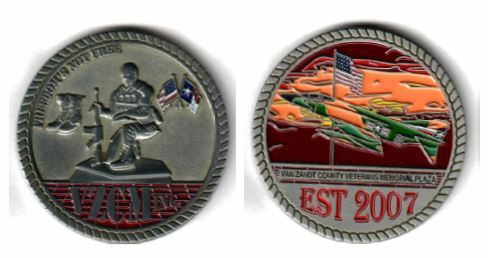 The Van Zandt County Veterans Memorial relies on the generous donations of the public and civic-minded businesses to raise funds to construct and maintain the Memorial Plaza. 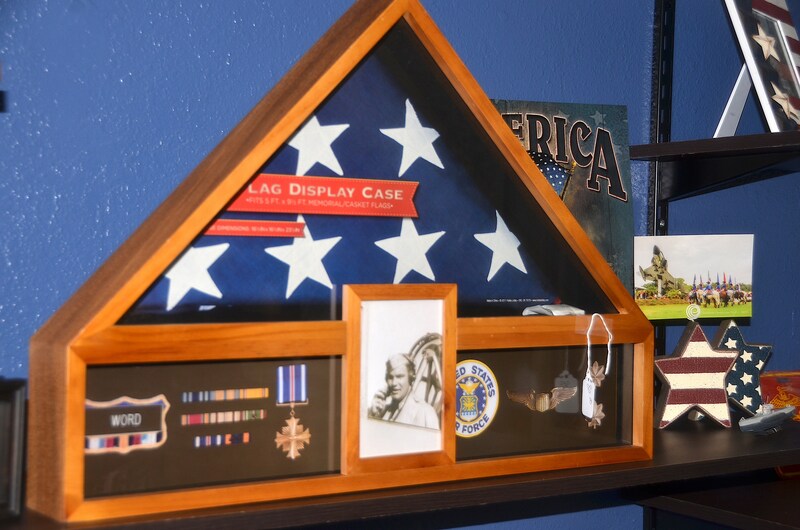 The following items are for sale as fundraisers. 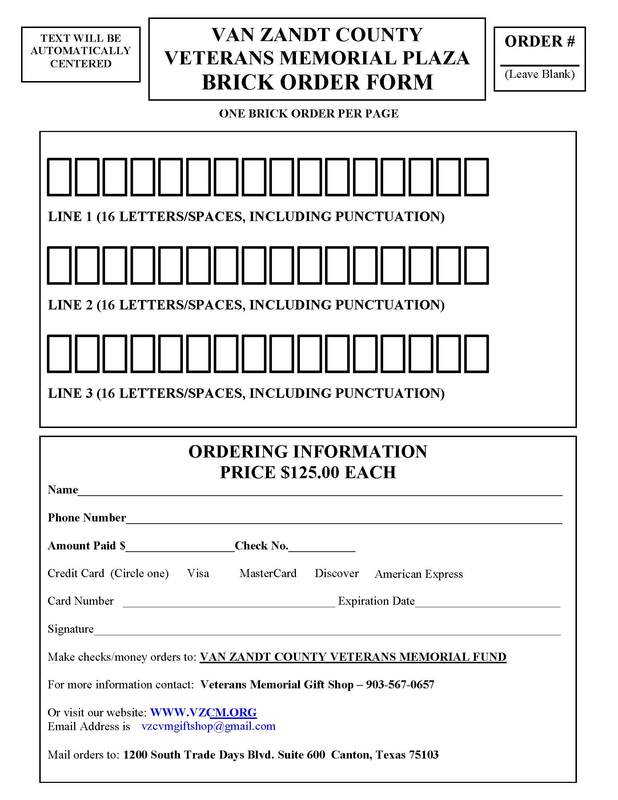 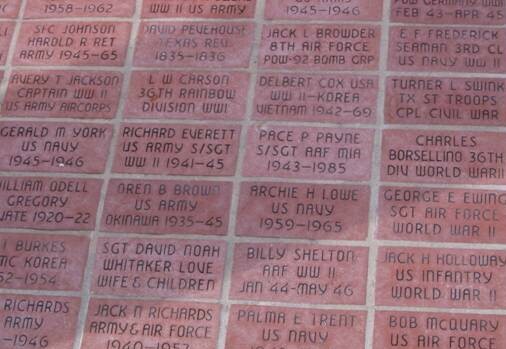 Click here to download a personalized brick order form. 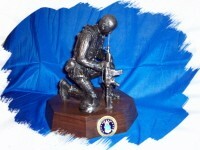 Click here to download a statue order form. 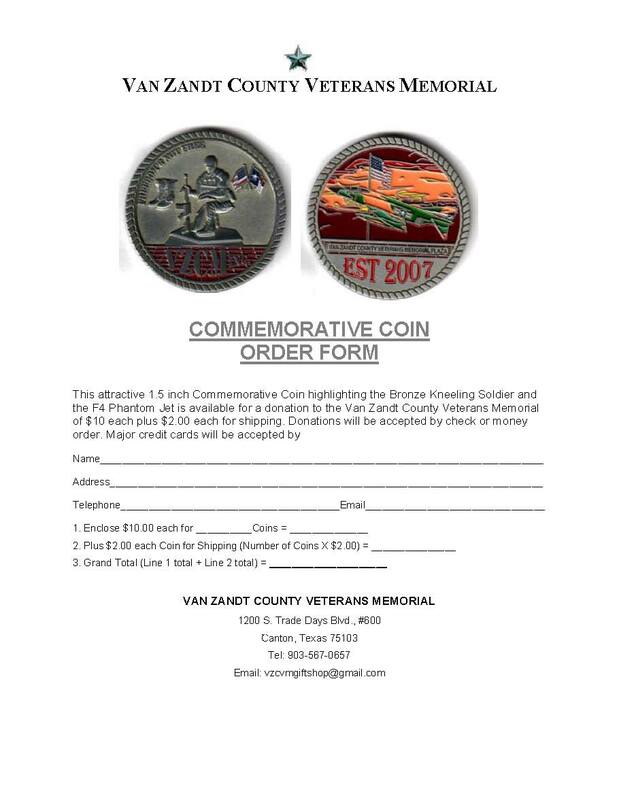 Click here to download a Commemorative Coins order form. Click here to download a Lapel Pin order form. 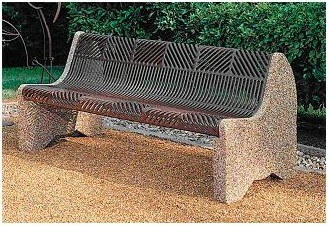 Click here to download a Park Bench order form.